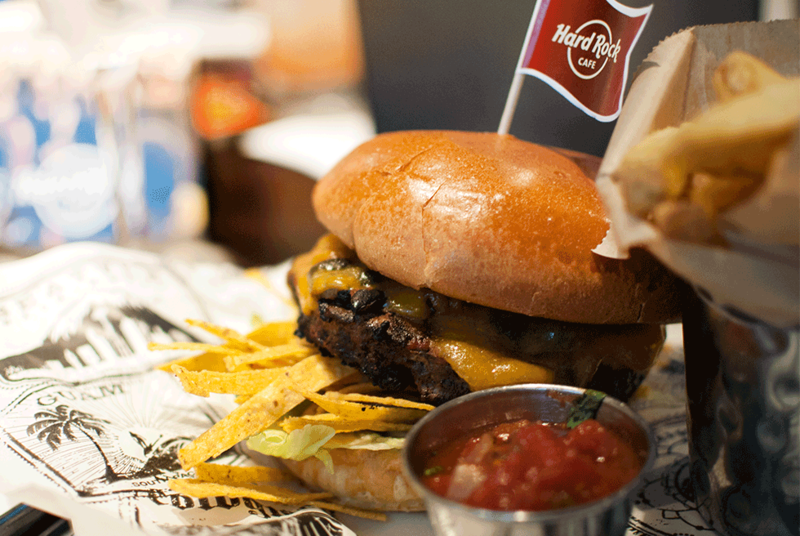 if you think you know the burgers at the hard rock cafe of your choice you could never be more wrong than these days. 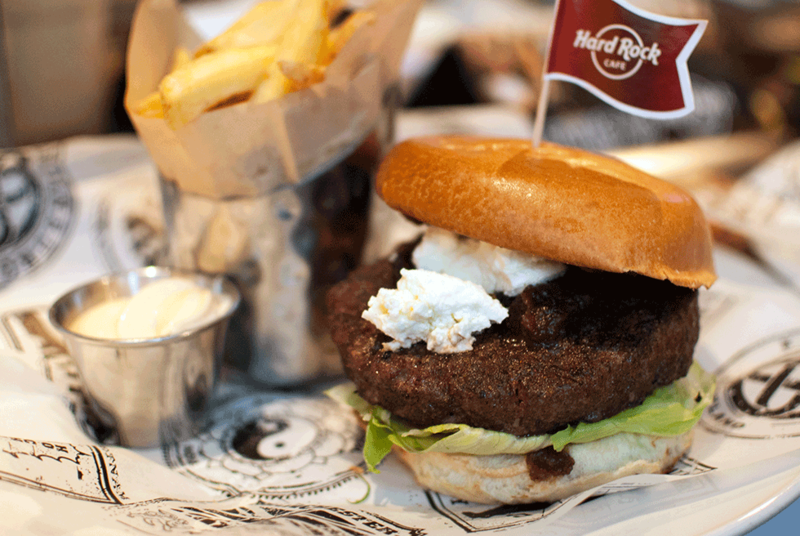 the world burger tour sends a choice of local legend creations from the world’s hard rock cafe restaurants across the globe. in berlin, four of them can already be ordered before they get replaced by four others. 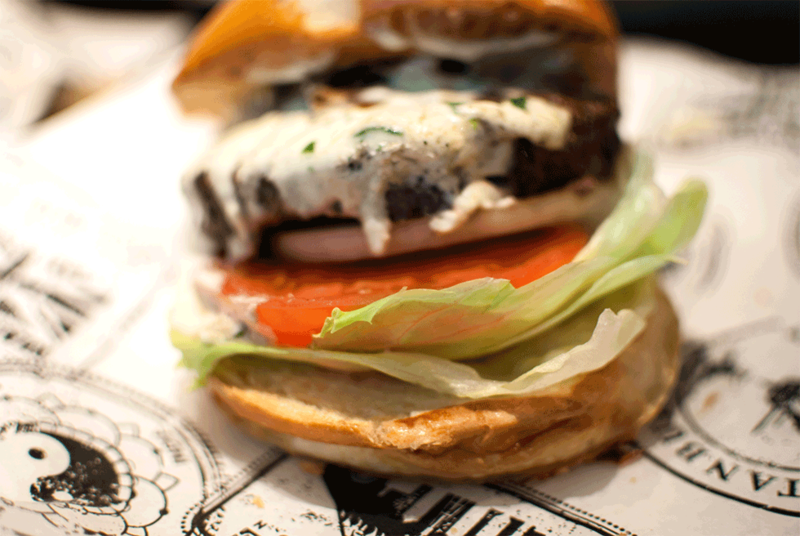 the may selection features the java lava burger from seattle (refined with espresso – think starbucks! 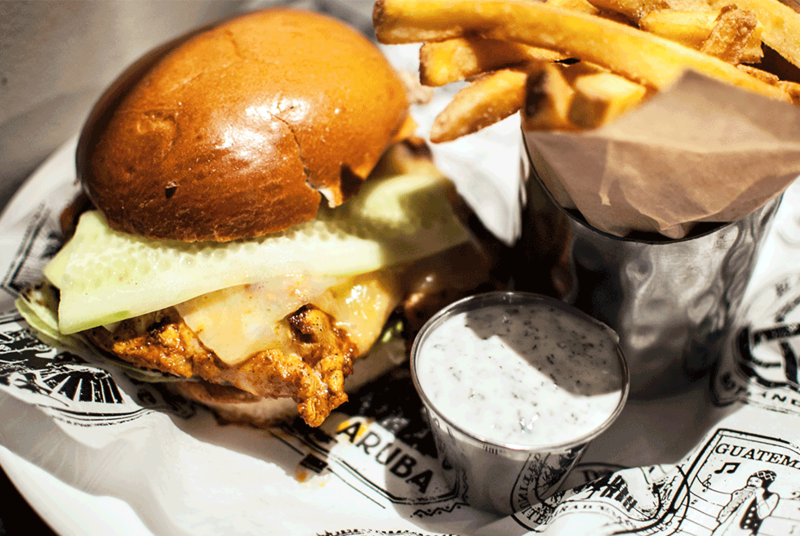 ), the spicy chamorro burger from guam, the super-spicy fried jalapenos burger from san antonio, and the tandoori spiced chicken burger, our may favorite and the only non-beef choice. 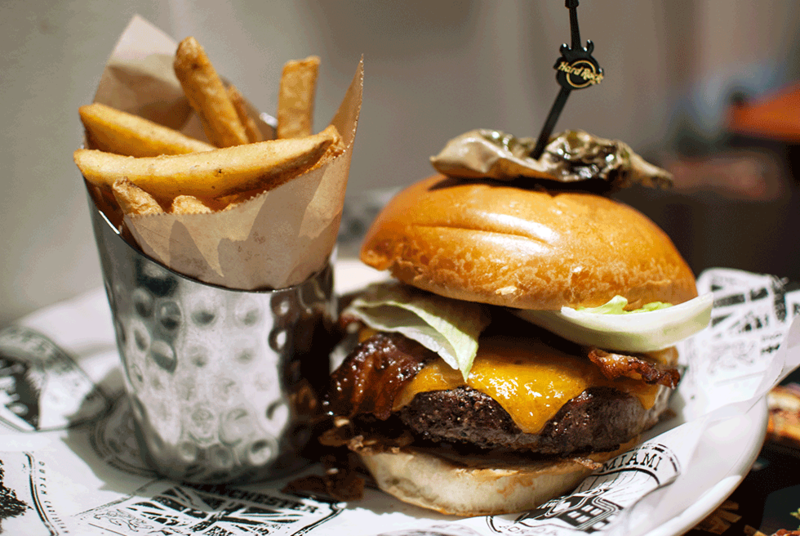 in june, the competition is less spicy, yet even fiercer: the cuban burger from miami (mojo-marinated pulled pork | plantain) is a true slam dunk, the banh mi burger from ho chi minh city in vietnam comes with tangy sauce and spring onion, and the marrimba burger from guatemala city boasts tortilla stripes and three kinds of beans. 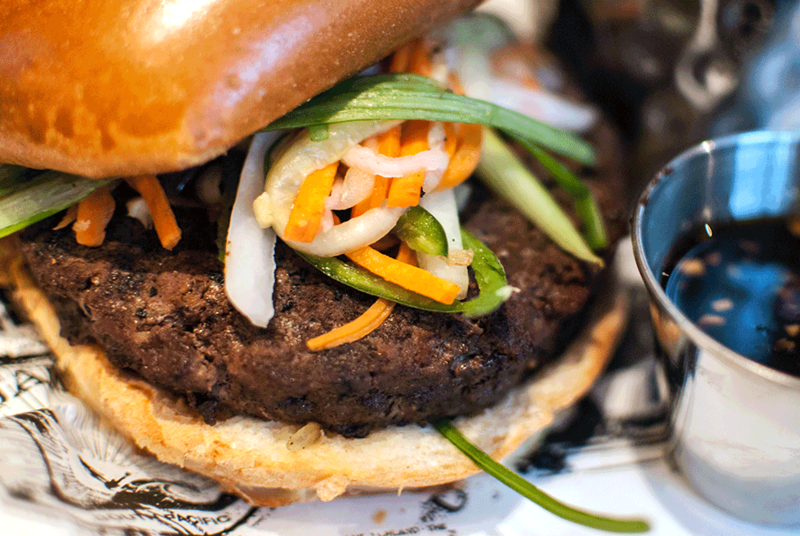 however, our clear favorite is the lamely dubbed, yet exhilarating sweet & savoury date burger from dubai with its fresh, chopped up dates and a delicious chutney.